Gum disease is a common problem. In fact,more than 40% of adults over 30 will have some form of gum disease. And this number just keeps on climbing as you get older. Gum disease can occur for a variety of reasons. It’s possible that you’re not doing a good job of cleaning your teeth, whether brushing, flossing, or seeing your dentist on a regular basis. Those who have a family history of gum disease, are diabetic, or use tobacco products are also at a higher risk of having gum disease. Gum disease can have many warning signs. Inflammation and swelling are the most common signs of gum disease, but redness, loose teeth, mouth sores, and constant bad breath are other signs you may have gum disease. If you have pain in your mouth, if you bleed every time you brush or floss, or if you notice that your gum line is decreasing, you will want to see your dentist, as these are also signs of gum disease. Gum disease is not something you want to overlook. 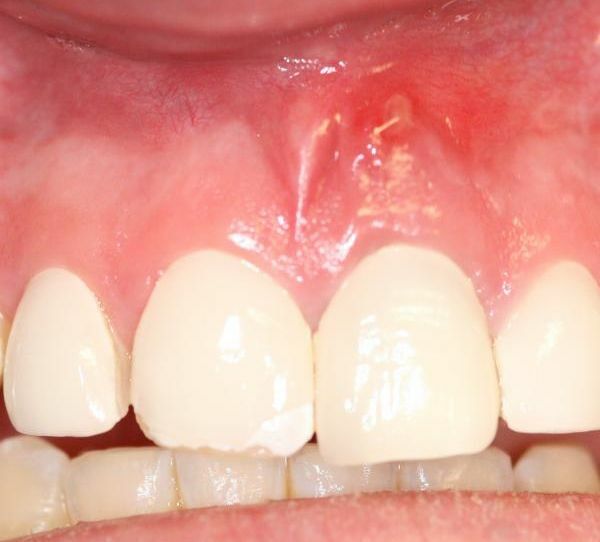 If left untreated, gum disease can force you to lose some of your teeth. Plus, gum disease is linked to other, more severe health issues, such as heart disease. In order to ensure that you not only keep your teeth safe, but keep the rest of your body safe and healthy, it’s important that you get your gum disease treated right away. There are a variety of different options when it comes to treating gum disease. First, you will want to see your dentist. Your dentist will be able to do a thorough examination of your teeth as well as give your teeth a deep cleaning and remove plaque through a process known as scaling. Your dentist will be able to reach farther than your toothbrush or floss and really alleviate the issue. Plus, he or she will be able to take x-rays to determine if there are other underlying causes of your gum disease. Depending on what your dentist finds, you may be finished with your treatment, or you may need to see a periodontist. Aperiodontist specializes in treating gum disease, so you will be in good hands when it comes to treating the gum disease issues you may have. Your periodontist will be able to tell you about the different options you have regarding how to treat your gum disease, and one of these options may include surgery. Having surgery for gum disease is necessary if your case is severe. If you need surgery, the periodontist will usually pull the flaps of your gum back so that they can be cleaned, and then they will be sutured back into place. No matter if you currently have gum disease or not, the best way to avoid it is through prevention. Having a better oral hygiene routine is essential to eliminate your risk of gum disease. Brush and floss your teeth at least twice per day, and see your dentist on a regular basis. Plus, use mouthwash for those hard to reach places, and take the advice of your dentist during your regular visits.